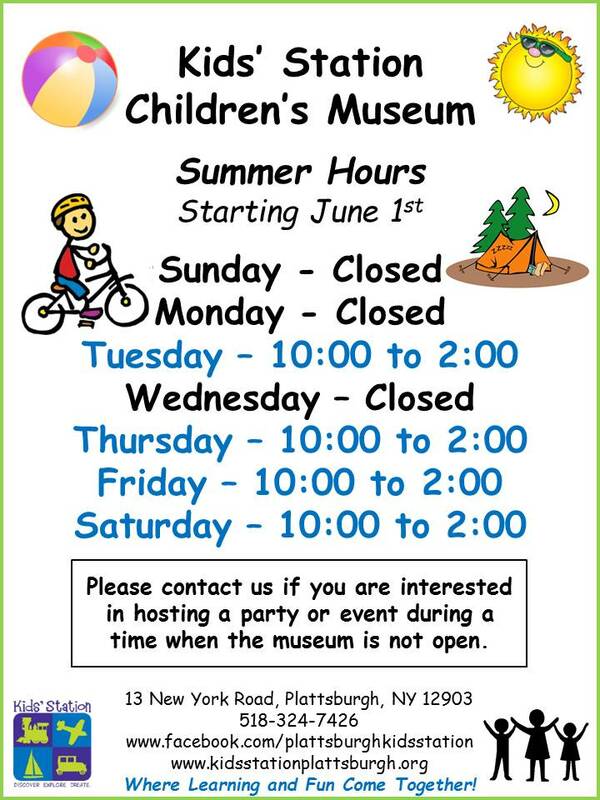 Summer Hours Start June 1st. 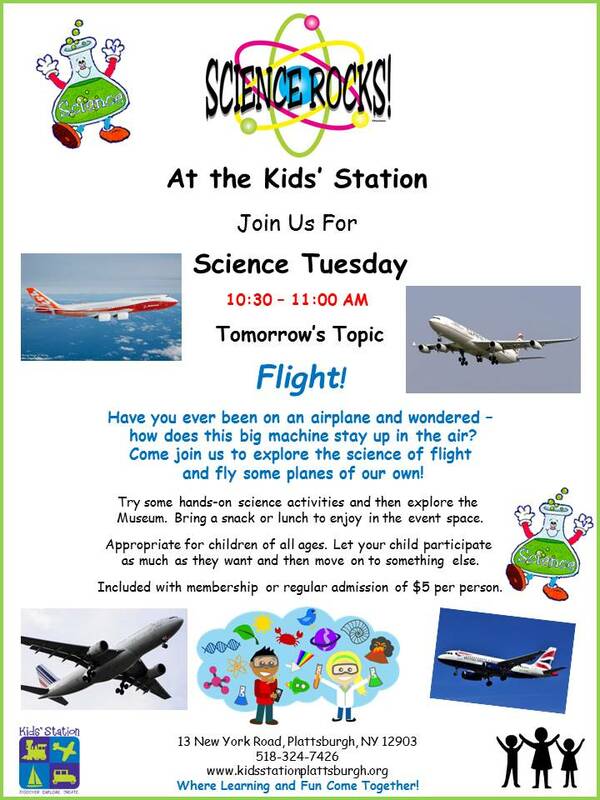 Tomorrow is Science Tuesday. Stop in and learn about flight! 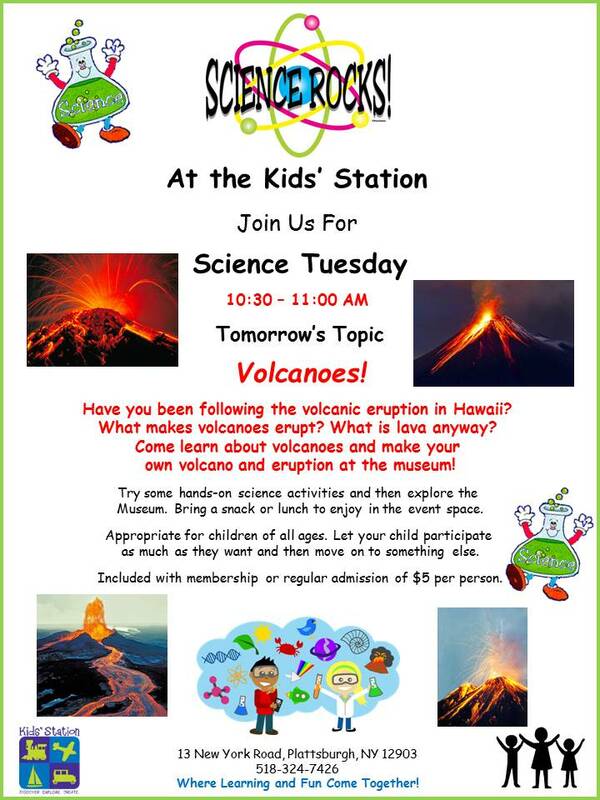 Tomorrow is Science Tuesday stop in and learn about volcanoes! 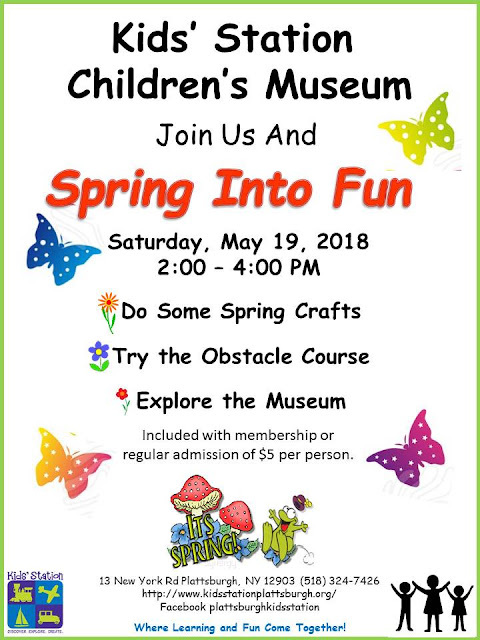 Join us this Saturday for our Spring Into Fun Event! 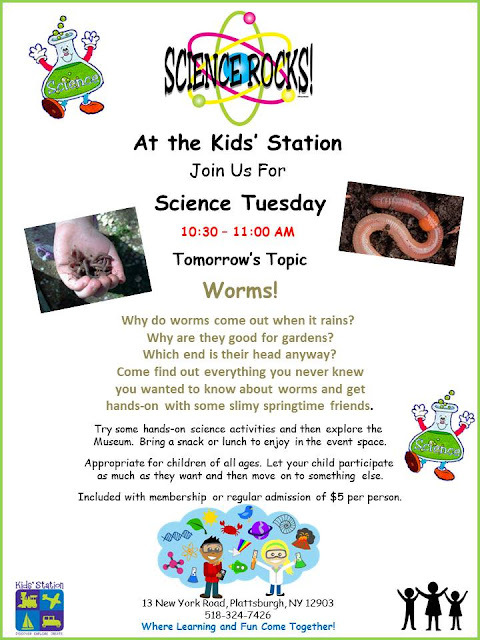 Tomorrow is Science Tuesday stop in and learn all about worms! Important! 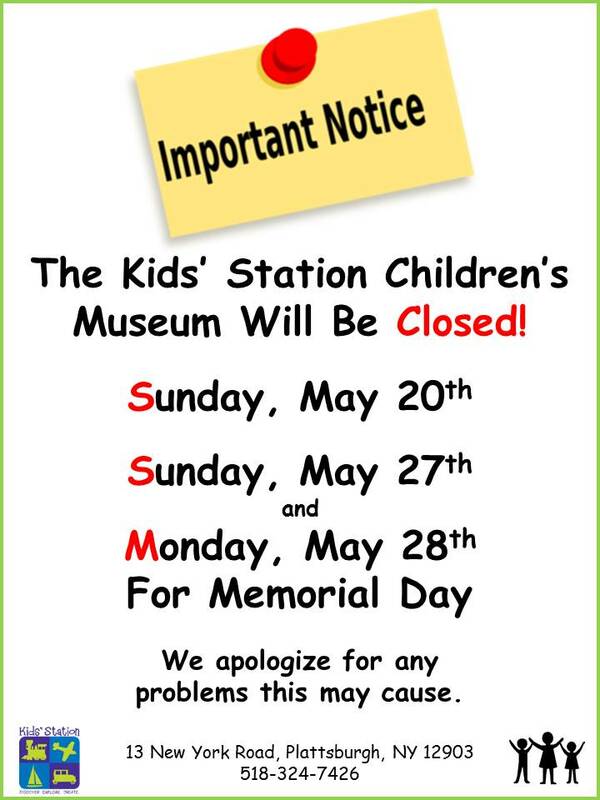 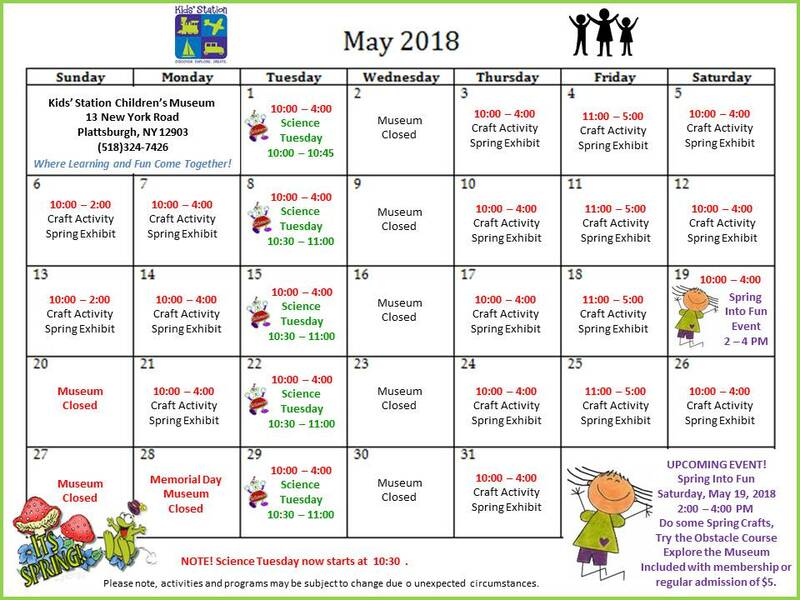 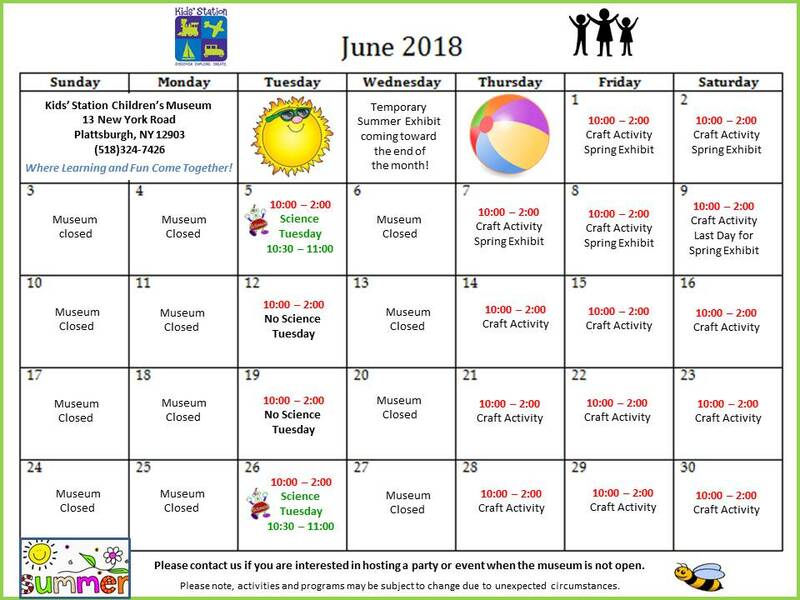 Please note the Kids' Station will be closed on the dates listed below. 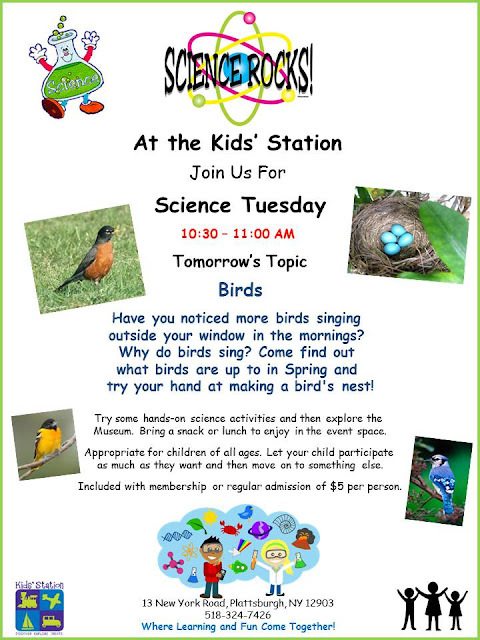 Tomorrow is Science Tuesday stop in and learn about birds. Important, the start time is now 10:30.